How Can I Finance My Master Degree Program? FNUNewsHow Can I Finance My Master Degree Program? So, you have completed your Bachelor’s Degree Program, and perhaps have also had workplace experience. What is the next step in your career trajectory? One key way to truly get ahead in the professional arena is to pursue a Master’s Degree. For instance, a Master of Business Administration (MBA) is a degree that can open doors across a wide range of fields. According to www.mba.com, the website of the GMAT graduate management aptitude test that is frequently used for gauging admissions into Masters Degree programs, 92 per cent of respondents in a recent survey reported having a job after graduation, and three out of four alumni from the class of 2012 said they could not have obtained their job without the skills, knowledge, and abilities attained through their graduate management education. Of course, Master Degree programs come in many shapes and sizes – and with various price tags. Nevertheless, while it may seem daunting to invest money in education, study after study indicates that the investment is worth it. For MBAs, for example, according to www.mba.com, the median starting annual salary for all full-time MBA alumni surveyed in 2012 was $100,000. Alumni across all class years and program types reported a full return on investment (ROI) on average four years after graduation. There are several alternatives open to students looking to finance their Master’s Degree. The most common way to finance a Master’s Degree program is by taking out student loans to cover the cost of tuition, fees, books, and sometimes also living costs or various expenses. Student loans are available from many different lending institutions to citizens and permanent residents of the United States. 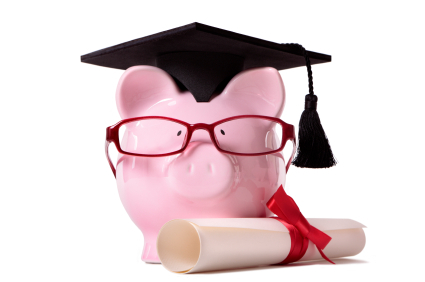 It is important to keep in mind that the terms and conditions of student loans vary widely. Many of these student loans are available at reasonable rates, but some can have difficult conditions or exorbitant interest rates. It pays to shop around, do sufficient research on the various options available to you, and make a smart and informed comparison of the differing loan options. It is also important to keep in mind that once you complete your Masters Degree program, most lending institutions grant borrowers a grace period of six months to find a job before they must start paying back the loans. Another option for financing a Master’s Degree program is to become a research or teaching assistant at your chosen school, or find another work-study program within the school that allows you to earn money for an on-campus job that you do in parallel with your studies. Not everyone can count on this option to finance his or her Master’s Degree, as it is usually only available in larger universities. However, it is worth inquiring if any possibilities of work-study programs exist at your chosen institution, as this can be a smart way to finance your education while gaining work experience in a professional setting. In addition, many types of scholarships are available to students wishing to pursue a Master’s Degree. Scholarships are given out by universities and colleges, private and public organizations, and various foundations. In contrast to loans, scholarships are considered “gift” money and it is not necessary to pay them back. There are numerous kinds of scholarships available. Some need-based scholarships are available to students who have demonstrated academic ability but who may not be able to finance their Master’s Degree alone. Other scholarships are given to students who the university or scholarship-granting organization deems as exceptional candidates for higher education. There are also special scholarships available to students of a particular gender, or a certain ethnic, religious, or family background. You may discover that even if you receive some form of financial aid, it will be necessary to work at least part-time to finance your Master’s Degree. This will require some creativity and flexibility on your part, as you will have to fit your work schedule around your classes or vice versa. While this can be difficult, many students manage to do it, and often find that the organization it requires even makes them better, more focused and more organized students. Keep in mind that organization, determination and hard work now pays off in the future. If you are looking to find out what financial aid is available to you, of course it is key to get in touch with the financial aid office of your chosen school, as financial aid counselors specialize in helping you with this information. It is also important to complete or estimate your federal income taxes for the previous year. You will need this information to complete the financial aid forms, which will be used for grant and loan applications. Prepare well by checking out The Guide to Federal Student Aid, which is an extremely informative guide that can help orient you. 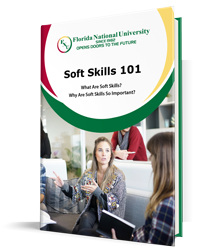 We at Florida National University (FNU) have provided this document, downloadable from our website by clicking HERE. Complete the Free Application for Federal Student Aid (FAFSA). The FAFSA is a requirement for all federal student aid programs as well as for many state and institutional aid programs. You should then submit the FAFSA to the school where you have applied for admission. Once you have been admitted to a graduate program, it is time to apply for financial aid. Inquire with both the financial aid office, and your particular department or program for possible teaching assistantships or field-specialized scholarships. Of course, don’t forget to check on the Internet for possible sources of aid not administered by your graduate institution. There are thousands of scholarships available each year, so doing research can sometimes turn up further options. Be sure to stay aware of all application procedures and relevant deadlines. If you are employed, check with your workplace about the possibility of reimbursement or tuition assistance programs if your degree is related to your present job. Check with your supervisor or with the human resources department of your company, if applicable, for further information on how advancing your education can be beneficial to your company. You can also check to see if there are other possibilities open within the organization, or check on how the company can work with you to facilitate your studies. After all, your education will benefit your employer too! At FNU, we are proud to offer an online MBA program that could be your ticket to a wealth of career advancement options and greater earning potential. To find out more about our program and how to finance your graduate education, contact one of our academic advisors today. Your future is waiting! “Benefits & Future Value of a Graduate Business Degree.”MBA.com: The Official GMAT Website. Graduate Management Admission Council, n.d. Web. Jul 2013. <http://www.mba.com/why-b-school/benefits-and-future-value>.